With fall arriving in Maryland, residents will begin to opt for those cozy evenings indoors. There’s no better way to escape the frigid temperatures of fall, than cozying up in your Koch Homes basement. 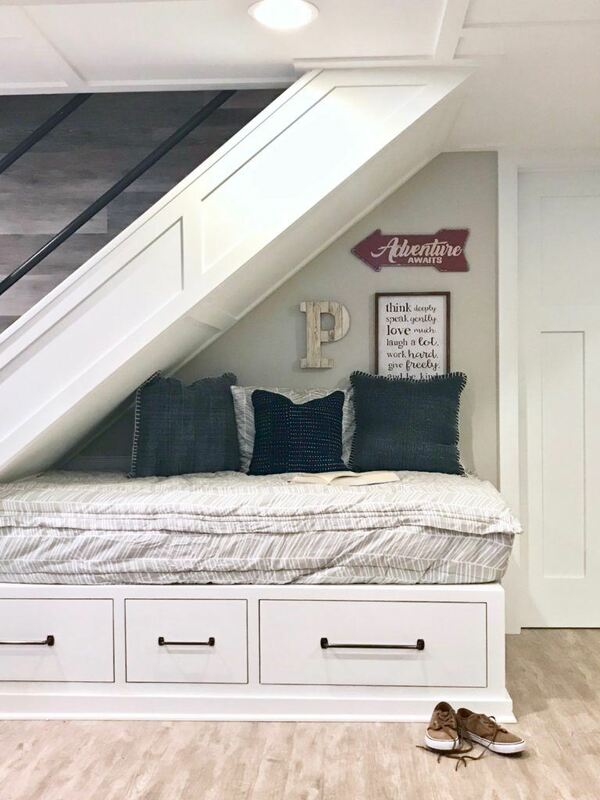 Check out these fun creative basement ideas for a little inspiration on how you’ll be decking out your space this season. Create an intimate space for you and your family to enjoy this winter. We’re loving this basement corner idea! This comfy nook is perfect for cuddling up with a good book or providing space for the kids to entertain their friends. This game room is fit for a Super Bowl Champion! Everyone will want to watch the game at your house with this fun football themed space. 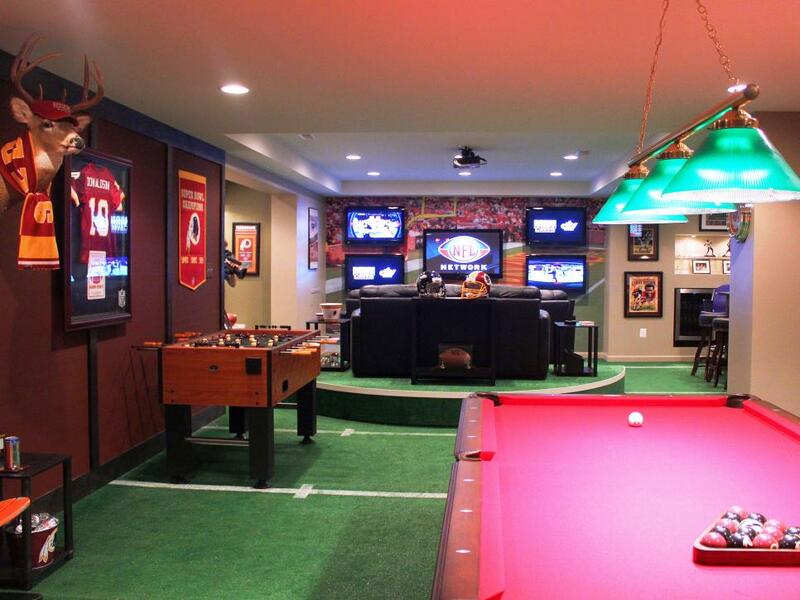 With a turf-like rug and foosball table, this themed basement is decked with all the fixings of the perfect man cave. 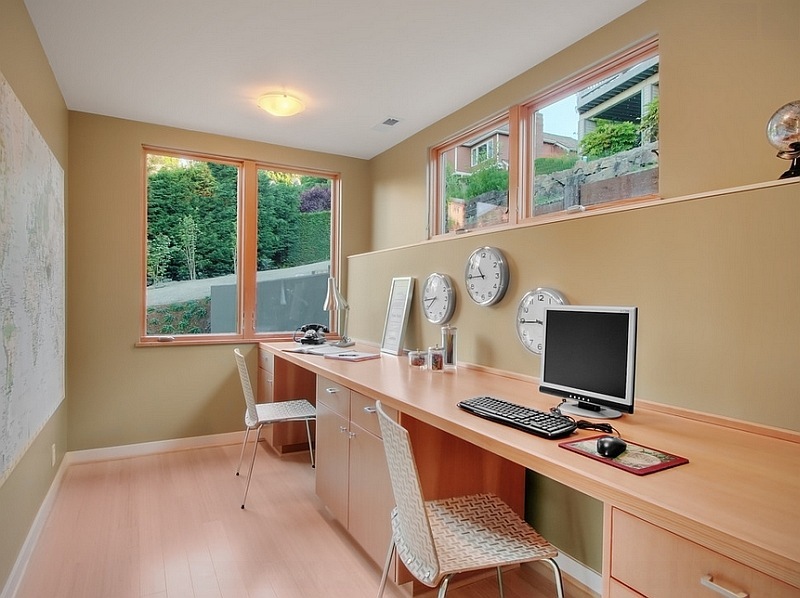 Turn your basement living area into the ideal workspace. Whether your working from home or need room for your DIY projects, turn your basement into a tranquil yet productive space ideal for getting down to business. 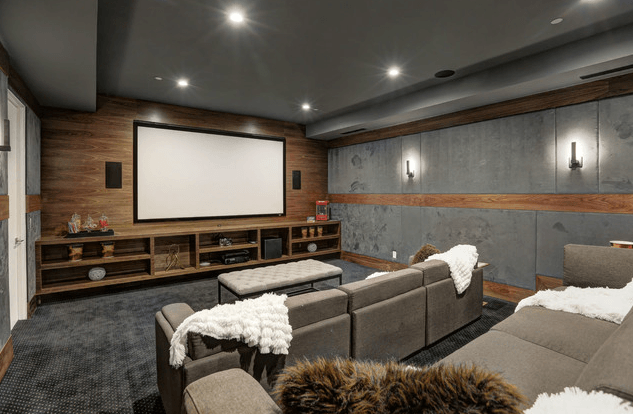 Bring the cinematic atmosphere into your home’s basement with a movie room! Give yourself the silver screen experience with this contemporary home theatre idea. Discover the perfect layout for you media room before you take on this big project. Keep your fitness goals intact during the cold months by transforming your basement into a home gym! With a personal gym a few feet away from your bedroom, you can forget trying to beat the cold weather crowd to the gym and give this basement idea a try. *The images pictured do not represent any Koch Homes floor plan.